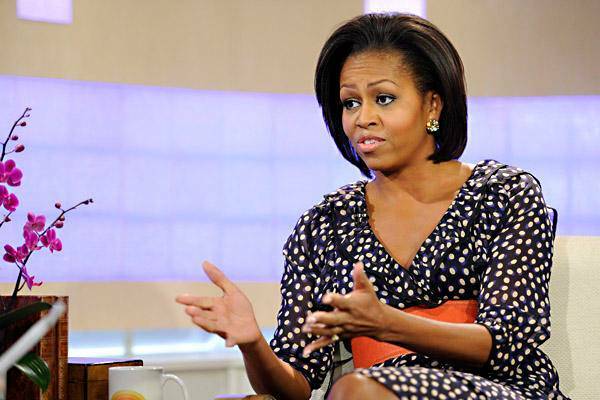 Michelle Obama Rocks H&M on TODAY Show – Sooo Fabulous! The $34.95 dress, available in stores in navy and white, and melon pink, will no doubt be selling very quickly in the days ahead. By the way, Michelle Obama joins a growing list of celebrities spotted in H&M in recent days, including Kourtney Kardashian in a $29.95 top and Hailee Steinfeld sporting a $20 H&M red floral clutch. Previous PostWho Wore What :: Justin Bieber’s Never Say Never LA PremiereNext PostLeona Lewis: Fashion Designer?